Welcome to the Willingboro High School Guidance Department. We hope that parents, students, faculty, and community members will be able to find information and resources useful to them regarding many issues related to Willingboro High School students and their education. 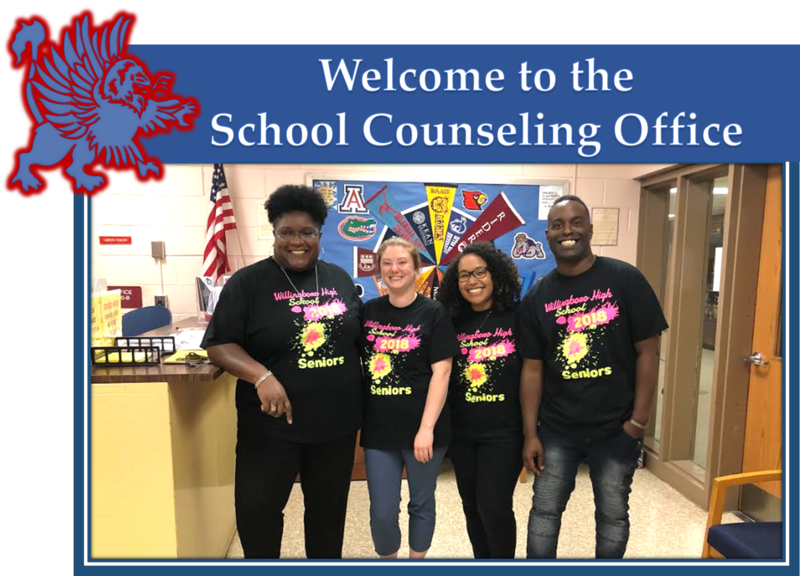 School guidance and counseling services at Willingboro High School are designed to address and meet the needs of all students through a developmental guidance curriculum, responsive services, individual student planning, and activities designed to support the school system. To see how the WHS Guidance Department matches with the American School Counselor Association visit the National Standards for School Counseling Program. Because success at school can be improved in many ways we offer information and resources helpful to students and parents in several areas known to impact students, their future goals, and their opportunities for success. Information for students bound for post-secondary education and their parents can be viewed at the National Association for College Admission Counseling.